Pregnancy is an exciting and wonderful time. However, with the many physical and hormonal changes that occur, it can also be a time of great discomfort. Many pregnant women suffer from fatigue, nausea, backache and other conditions that are often considered a “normal” part of pregnancy. Acupuncture is a safe, gentle and effective way to address these complaints, especially since many Western medications can’t be used during this time. Dr. Starkman and his staff were recently featured on Univison Primer Impacto on a segment reporting on the positive effects of “Acupuncture and Pregnancy. Yes. Prenatal acupuncture has been used for thousands of years to help patients support a healthy pregnancy and uncomplicated delivery. An Australian study conducted by Adelaide University in 2002 found that acupuncture during pregnancy had no adverse effects and was completely safe when done by a trained acupuncturist. 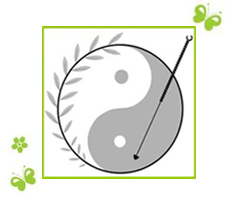 You may have heard that some acupuncture points are forbidden during pregnancy. This is correct; certain points are to be avoided during pregnancy as they may stimulate uterine contractions. However, a practitioner trained in prenatal acupuncture, as Dr. Starkman is, will know which points can safely be used and which should be avoided during pregnancy. How Often Should I Receive Acupuncture During Pregnancy? Acupuncture treatment is recommended once a month to ensure the optimal health of the mother and the developing fetus at different stages of growth and differentiation. Tradition has it that Zhubin (K9), the “beautiful baby point”, should be needled at the end of the third and sixth months to ensure a happy, healthy, and of course, gorgeous baby. The Chinese name for the point means “guest house”. The Zhubin point, located just below the calf muscle and above the inner ankle bone, is known to calm the mind, relieve anxiety and help to build blood.It is claimed that “stimulating this point minimizes the transmission of toxins from the mother to the child, increases the health of the baby and its resistance to disease and also tonifies the mother’s Qi.”In preparation for labor and delivery during the last month of the pregnancy the expectant mom should be seen weekly. How can Acupuncture help Post-partum disorders? To schedule your acupuncture session with Dr. Starkman, please click here.